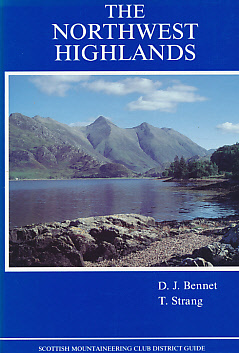 Barter Books : Bennet, Donald; Strang, Tom : The Northwest Highlands. Scottish Mountaineering Club Hillwalkers' Guide. 240 x 160 mm (9 x 6 inches) - 164pp. Illustrated hardback laminated board cover. VG : in very good condition without dust jacket as issued. Ink mark on half title verso.